Ensure regular access to Territorial wines year-round by joining Club T. Shipments include our regular wines, but will also contain some surprises, like unreleased special cellar bottlings or wines of limited production which often sell out. 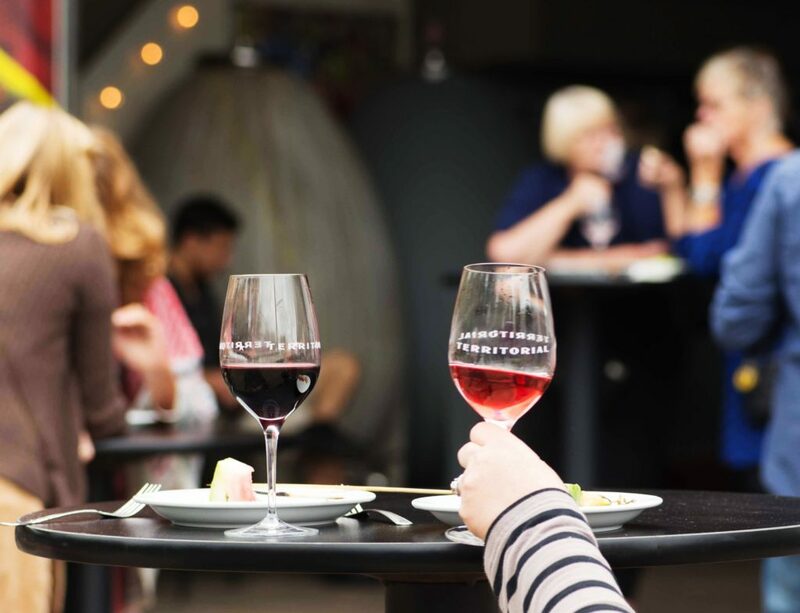 As a Territorial wine club member you are in league with our very best and most highly valued customers and that’s exactly how you will be treated. Not just with great wines including special unreleased bottlings, single-vineyard Pinots and other rarities but also with club-exclusive pricing on all purchases along with deep discounts on room rents when it comes time for your private Wine Room and/or Cellar party. Club members are also notified of new vintages before they are released to the public and invited to complimentary tastes and exclusive pre-purchase opportunities several times a year. Ensure regular access to Territorial wines year-round by Joining Club T. Shipments include our regular wines as well as club exclusive special bottlings. Tri-annual shipments--which include technical and sensory notes, and usually a food-pairing recipe--are created by us, then released in February, May and November. We throw a big pickup party in which we taste the featured wines as well as a taste or two of something special, like a barrel sample or a wine in progress. The pickup parties are a lot of fun with appetizers, live music and drawings for prizes that include Library wines, large-format bottles, logo gear and… who knows what else! Then every December we throw a wine club appreciation “cocktail” party for members. We dress up a little (or not), drink some great wine and nibble on tasty appetizers, all complementary! If you are from out of town we will ship your wine to your door! Not all states are legal for shipping and this is constantly changing so please check with us to find out if your state is enlightened. Members’ cards will be automatically and encryptically billed a week before the Pickup party or shipment. 15% discount on all club shipments and all purchases any time of year. 20% discount on all purchases during Memorial Day Thanksgiving Weekends. 20% discount on tasting room and cellar rental for private functions. Notification of upcoming releases with opportunities for pre-release purchasing. Membership is free. After a one year commitment members may opt out with written notice. What you will get: great and sometimes rare wines at great prices with just enough extra stuff to keep it simple and fun. What you won’t get: aggressive (or even passive-aggressive) marketing or spam of any kind. Your Identification and billing info will not be shared with any other person or entity outside of the necessary, encrypted channels of processing for any reason whatsoever. To sign up for our wine club, please fill out the form below. We will call you to confirm and get your credit card information.